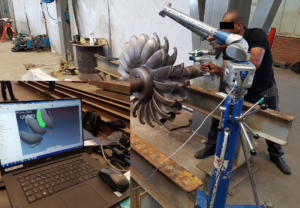 3D scan on a 580 kW horizontal Pelton runner 2 jets for a rehabilitation. 3D scan of a 1800 kW horizontal Pelton runner 2 jets for a rehabilitation. Don’t hesitate to ask HPP for a compact and economic solution: the container turbine. The design snapshot below consists of a Francis turbine with separated shaft line. 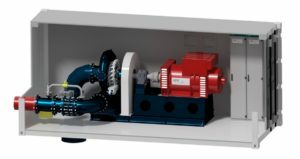 Consistant with Pelton, Francis, crossflow or Kaplan turbines, it consists of significant savings in civil works. 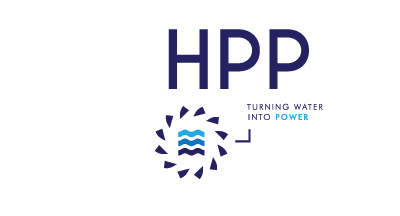 HPP is at Small Hydro Latin America next week, December 5th – 6th in Medellin, Colombia. Come meet Rudy Yvrard and our partner Energauss! 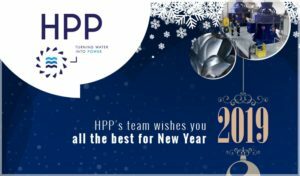 HPP is bronze sponsor to the event.